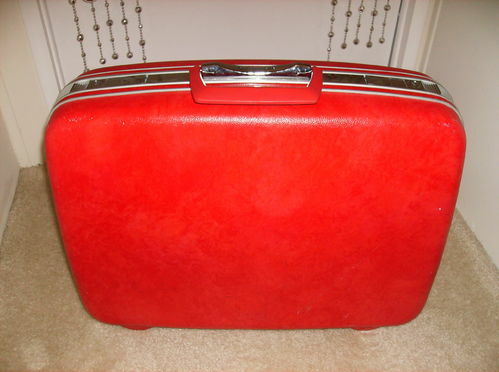 Fickle Feline: memories from childhood: the red suitcase. It was bright red, the size of an albatross, and it weighed a ton. The surface was ever so slightly bumpy, and it had a few scuffs that bore witness to its escapades. I’m not referring to my Great Grandmother’s prize winning heritage tomato -- I’m talking about the prized Samsonite suitcase that accompanied us on every family trip from before I can remember to when I left for college.